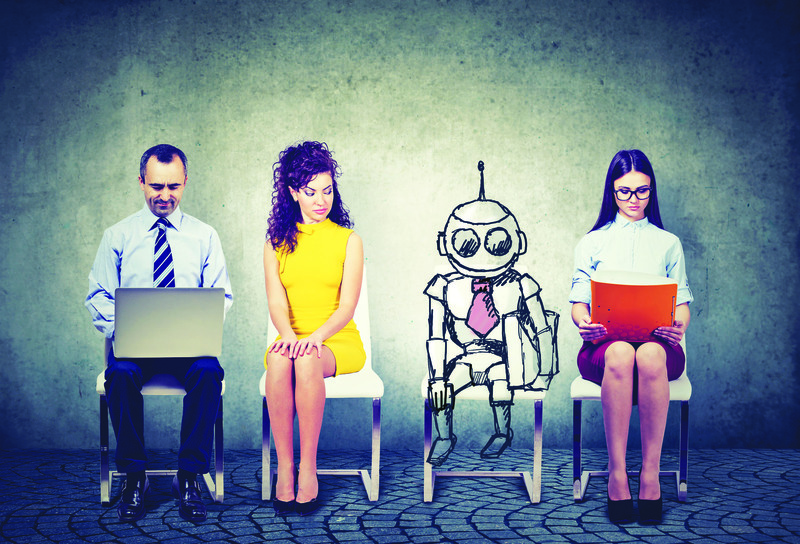 This article is part of a series entitled “The Future of Management”, about how changes in culture and technology are reshaping what managers do. INSEAD professors Pushan Dutt and Phanish Puranam serve as academic advisors for this series. The past four decades or so have been hard on those with dreams of climbing the socio-economic ladder. With social mobility having effectively ground to a halt in many of the world’s most advanced economies, divisions between the blue- and white-collar segments of society have clarified and deepened. A major contributor to growing class disparities has been employment polarisation. Since 1980, the labour market has increasingly favoured high-skilled, cognitively challenging occupations. These jobs are mostly professional, technical and managerial in nature, requiring a high degree of specialised mental refinement (and usually a university degree). At the other class extreme, jobs that entail serving customers’ needs directly have seen a more modest yet still significant boost in employment share and salary. These jobs have little use for book smarts, but street smarts can help a great deal. Food preparers, domestic helpers, security guards, at-home healthcare providers, etc. fit into this category. The losers of employment polarisation are the in-between jobs, those that mainly involve routine processes demanding a moderate amount of skill. Included in this category are office administrative staff, salespeople, craftspeople, tradespeople and factory workers. Middle-skill employment share declined by nearly 10 percentage points between 1995 and 2015, according to an OECD report. In short, employment polarisation creates a labour market that pushes workers towards the opposite ends of the skills spectrum – as INSEAD Professor of Economics Pushan Dutt highlights, economists refer to them as “lousy jobs and the lovely jobs” – and devalues everything in between. What does this mean for the future of the job market? To answer that, we need to examine the factors behind employment polarisation. Researchers have bestowed the most attention on two causes: Automation and globalisation. MIT Professor of Economics David H. Autor notes that automation has been going on for centuries, but in the last few decades it became cheaper than ever with the ubiquity of computers and the internet. In many cases, the long-standing trade-off between paying good salaries to skilled blue-collar workers and the potentially greater cost of technological substitutes abruptly disappeared. Employers’ pursuit of cost-efficiency was limited only by the capabilities of the existing technology. Lovely and lousy jobs largely escaped substitution because the dexterity (whether intellectual or manual) that they call for is beyond what robots can currently do. However, machines can learn to execute – at superhuman speed – the routine tasks of middle-skill jobs, without needing bathroom breaks, days off, or any of the other familiar human hindrances to productivity. While automation has not made human labour and skills obsolete in the past, the rise of massive computational power, AI and robotics, is likely to accelerate the pace at which employment disruptions will occur in the future. Advancing globalisation also contributed to employment polarisation after 1980. As trade agreements (e.g. NAFTA and an expanding WTO) knit the world’s economies more tightly together, middle-skill employment in developed countries became less secure in the face of emerging-market competition. Offshoring is another key component of globalisation. It is safe to assume that those same neither-lousy-nor-lovely jobs which computers so easily emulate are obvious candidates for expatriation to more friendly wage climes. Offshoring could be thought of as simply an alternate form of substitution – replacing a relatively high-maintenance subgroup of the workforce (moderately skilled employees) with a less demanding resource (here, a foreign population rather than robots). Globalisation’s role in exacerbating income inequality in rich nations was the subject of a 2018 paper co-authored by INSEAD Assistant Professor of Economics Dimitrije Ruzic. The paper found that China’s 2001 accession to the WTO was a bonanza for U.S. firms with pre-existing export ties to China, and particularly for the senior leaders of those firms. Between 2001 and 2008, America’s Sino-savvy firms swelled and lavishly compensated their top executives, while wages for average workers remained virtually stagnant. The authors assert that 52 percent of the growth of the income shares accruing to the top 0.1 percent during this period can be explained by the unshackling of global trade. Jump ahead to 2019, and we see a divergence in the fates of these two factors: Political support for globalisation is waning, while governments continue to commit billions of dollars to fighting the “AI arms race” and the global robotics market is expanding exponentially. So the future of the job market in developed nations may depend upon which of the two was more responsible for employment polarisation in the recent past. If globalisation was the main driver, we would expect polarisation to slacken as free trade retreats. If technology substitution was paramount, we would anticipate polarisation could continue, or even accelerate. A 2014 paper in American Economic Review found that “routine-biased technological change” (i.e. automation) was far more important than offshoring in fuelling pervasive employment polarisation across the advanced economies. This conclusion jibes with Professor Dutt’s recent observation that only a relatively small percentage of U.S. unemployment in the two decades or so preceding the Great Recession can be attributed to competition from China. Globalisation’s ongoing flaying at the hands of populist politicians may serve as a convenient public distraction, rage against the machines is a more justified response for the masses who find themselves trapped in lousy jobs. On the other hand, it is difficult to precisely measure the impact of either globalisation or automation, because the two are to some degree intertwined. Example: Because entry into new markets such as China can elevate risk of IP theft, companies have tried to imitation-proof their wares by increasing the proportion of highly skilled labour involved in the production process. Presumably, these “defensive innovation” tactics would entail compensatory technological substitution of routine-based middle-skill jobs. Additionally, escalating trade wars reportedly have a positive impact on the robot economy, as exporting companies eye slashing payroll costs to blunt the effects of higher tariffs. Therefore, the safest bet is that polarisation will advance in the coming years. We can expect that some currently “lovely” jobs will fall into the sagging middle, where automation does its most harrowing work. Radiologists, accounting professors and other especially left-brained, white-collar occupations may soon be under threat of replacement. Even the coders designing today’s machine learning algorithms may end up usurped by their own creations. The jobs that will remain “lovely” over time are creative ones that leverage the economies of scale that automation makes possible. Journalists, for example, could apply their expertise more efficiently (and multiply their output) by delegating tedious legwork and rote writing tasks to bots. The indispensable executive of the future will be adroit not only at managing human teams, but also at commanding automated minions so as to amplify the impact of her strategies. Manual labourers – i.e. holders of the “lousy” jobs – are likely to be in high demand, but that may not necessarily translate into wage gains. Autor envisions that as workers from the sagging middle gravitate toward the more stable “lousy” jobs, the influx of labour supply will weigh on working-class wages. If non-elites are to avoid a bleak future, then, a political solution beyond populist protectionism will be necessary. Perhaps the first priority should be a thoroughgoing revamp of the public education system, which was designed according to the needs of the 20th century (at best) and has not been significantly updated. A firm educational grounding in technology would give ordinary citizens a fairer chance at bettering their station in life, thus standing in for the disappearing middle-skill jobs that once provided an entrée into the white-collar world. Do you have suggestions for topics we should cover? Have you come across cool research that is helping us understand the future of management? Please send suggestions to Benjamin Kessler, or leave a comment below. Warning: Do not just average predictions!